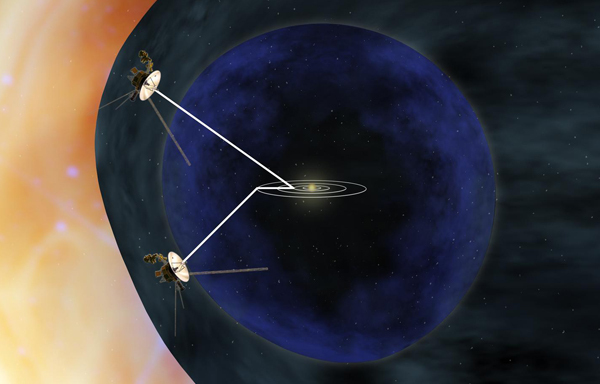 It's been thirty-five years since Voyager probes 1 & 2 were launched, the probes are expected to reach the brink of interstellar space "soon" though an exact date is unknown. Scientists speculate that it could be a matter of months or years before the crafts, which were launched 16 days apart in 1977 are expected to cross the so-called magnetic superhighway. The highway is where the sun's magnetic field and the interstellar magnetic field meet. This milestone marks the furthest man-made object from Earth.